A Traditional Chinese Medicine (TCM) tablet containing powdered rhino horns was allegedly sold for 110,000 yuan ($16,203) at an auction, but TCM practitioners and medicine producers said the price was much more than the pill's medicinal value. Called Angong Niuhuang pill (ANP), the medicine is most effective for febrile diseases and is also widely used to treat strokes and cerebral infarctions, Cui Shuo, who has been a TCM practitioner for more than 50 years, told the Global Times on Wednesday. Such pills made before 1993 contain real powdered rhino horns, an employee surnamed Zhang with an ANP producing company in North China's Shanxi Province told the Global Times on Wednesday. "We sell ANPs from 300 to 2,000 yuan depending on the quality of the ingredients. The prices which made headlines were hyped to boost its value for collectors rather than for its medicinal functions," Zhang noted. Some small drugstores in Beijing are buying back the medicine made before 1993 at 2,000 yuan a pill, eyeing a 13,700 yuan margin. The move came after reports went viral on WeChat, saying that an ANP made in the 1960s was allegedly sold for 110,000 yuan at an auction in April 2017. Another ANP made in 1993 was sold for 15,700 yuan each, BTV reported in May 2017. China issued a total ban on using rhino horns and tiger bones for medicinal purposes in 1993 and ANP producers were ordered to replace rhino horn with buffalo horn powder. After the ban, some companies still used rhino horns illegally, the head of a Shanxi TCM pharmaceutical plant who requested anonymity, told the Global Times on Wednesday. ANP has an extremely low content of horns, while its major ingredient is niuhuang, or bezoars, as the ANP's name suggests, he said. Many ANP ingredients last decades as long as the pill is well preserved in wax, but that does not mean the pill is worth 110,000 yuan, Cui said. The Xinhua report quoted a salesperson from Tongrentang, Beijing's oldest traditional Chinese medicine store, as saying many elderly people keep ANP at home to prevent heart attacks or stroke. 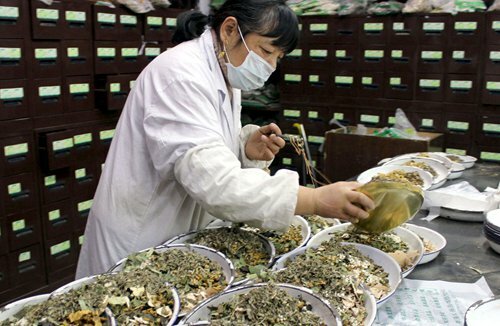 But Jiang Wenting, a TCM researcher from a Changsha-based hospital, told the Global Times on Wednesday that some of its ingredients are poisonous and the medicine "must be taken based on a doctor's prescription, not as nutritional supplements."